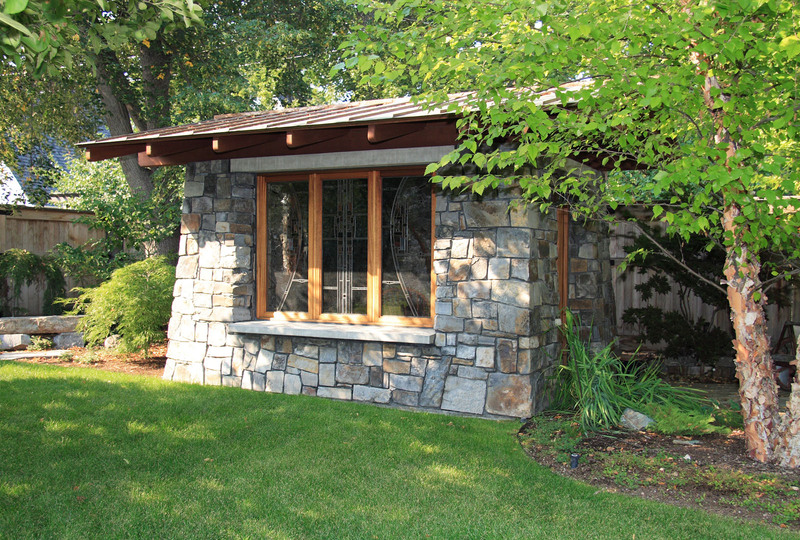 This small stone building is set in a magnificently landscaped backyard garden. 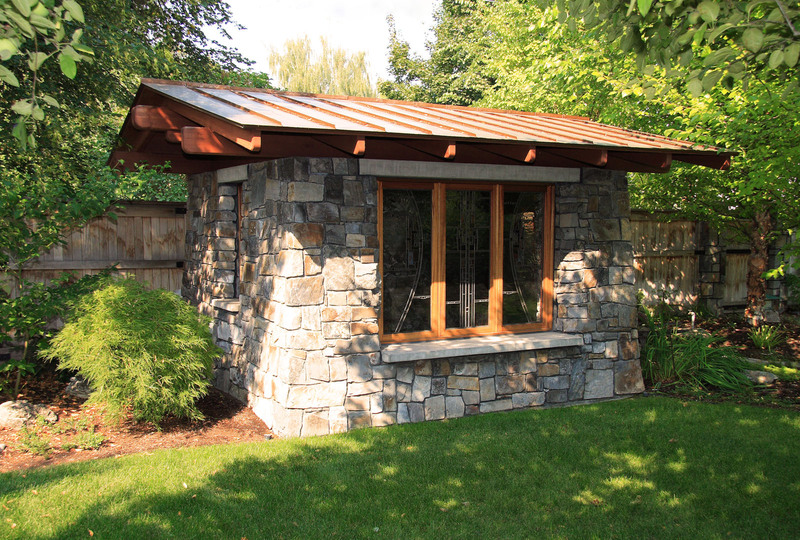 Its purpose is a studio for meditation and creative endeavor. The studio is also an important visual focus of the garden when viewed from the main house. 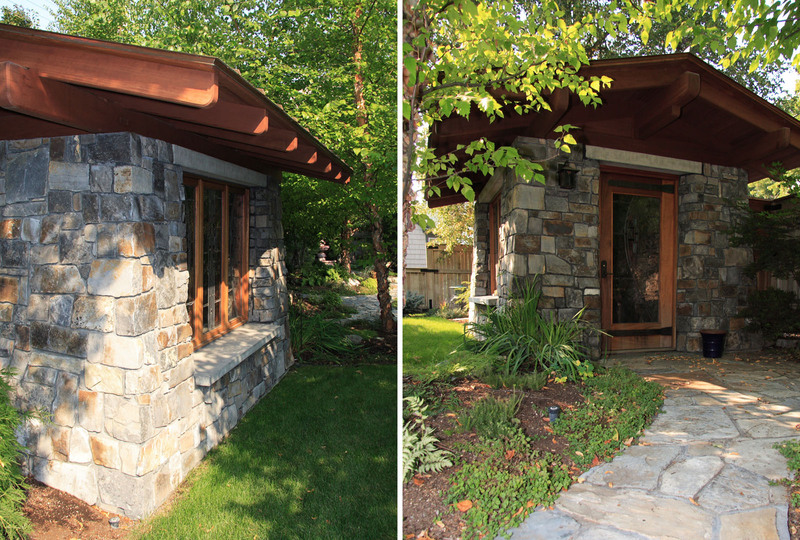 All design elements strive for the highest craft and are a partnership between architect, owner and craftsperson. Design work included stained glass windows, custom door hardware and a custom crafted writing table and light.